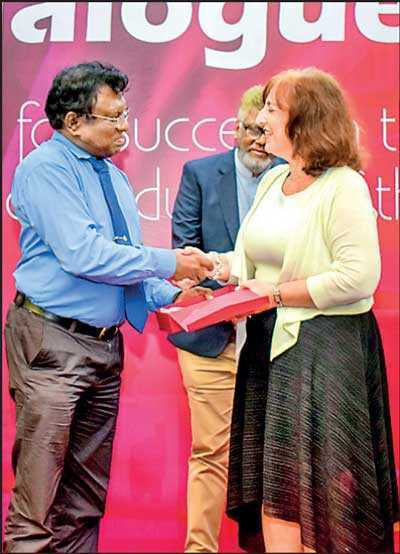 Informatics Institute of Technology (IIT), the pioneer in British higher education in Sri Lanka and the country’s premier IT and Business campus recently entered the fashion sphere with the introduction of Masters in Fashion Business Management. Expanding their horizons, IIT recently initiated an exclusive event – Colombo Fashion Dialogue, held under the theme of ‘Skills for Success in the Fashion industry of the Future’ at the Lavender Hall, Bandaranayaka Memorial International Conference Hall, Colombo. The event was graced by leading figures in the fashion industry including University of Westminster Senior Lecturer Caroline Curtis, Emerald Managing Director A.F.M Ikram and Moose Clothing Company Chief Executive Officer Hasib Omar. The event was enhanced by the panel discussion moderated by Daiwa Impex Director Saroj Lama Hewa. Ikram discussed his experience in re-launch and start-up of Emerald Shirts and its present ventures. He presented the growth of the venture from the beginning and discussed business models and scenarios seen in the local industry. As an experienced professional in the industry, he shared his wisdom on how young students who wish to pursue a career in fashion should compare similarities and dissimilarities of different scenarios and models to understand fashion in urban and suburban markets, as well as the different challenges in the local market. Omar did an elaborative explanation on the poised growth of the apparel industry of Sri Lanka and its growth over the years, as opposed to other consumer products. He further pressed the importance of research and development, covering most of the important spheres of the fashion industry, so as to produce and deliver the best possible products, with enhanced value and features at the most reasonable prices, under a minimum time period and cost. He elaborated how environmentally sustainable and profitable products are a possibility, with sufficient research and development. 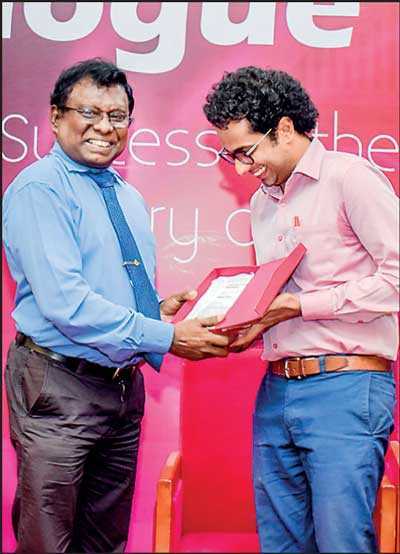 He shared his high hopes for Sri Lanka to challenge international brands and create a brighter future. The event was further enlivened with the panel discussion moderated by Saroj Lama Hewa with the three spokespersons from diverse spheres from the same industry presented their diverse views on different current questions and issues of the field. The fashion or the apparel industry is one of the most fast-paced industries which has been going through many different evolutions across the world. Today the industry has joined hands globally to meet different ends. But as time evolves, more complex millennial challenges are placed before them to solve. Customers are changing as they demand more transparent business models, and they tend to question the sourcing and sustainability of the products. 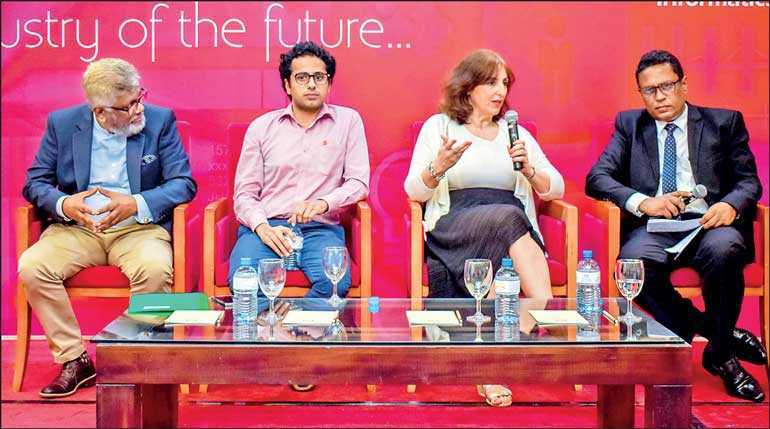 But as Ikram discussed in the panel, this changing and fading trends are what keeps the industry moving. To meet these challenges and advance forward with sustainable solutions and better choices to the market, the industry requires to invest more on research and development, adapt according to the millennial trends and acknowledge the change. For this, the industry requires skilled professionals. The definition of skilled professionals has drastically changed, and with the introduction of artificial intelligence, it is bound to go a never-before witnessed revolution. 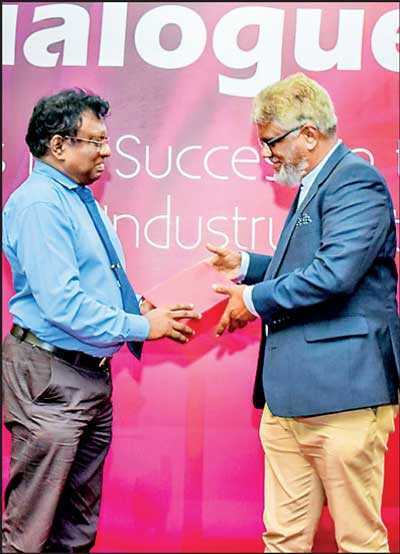 As a leading country with poised improvement in the apparel industry, Sri Lanka needs to create a skilled generation to support and advance the Sri Lankan fashion industry to the international arena. On the other hand, to reach this potential we need to strengthen and motivate entrepreneurship, as the new ideas and ventures are crucial to the industry. 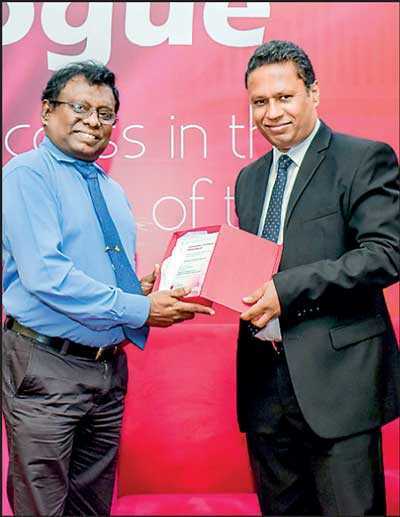 IIT’s Masters in Fashion Business Management is one step of this accolade academy to bring Sri Lanka closer to that objective. With the partnership, expertise and knowledge of the University of Westminster, IIT is looking forward to a brighter future for the next generation of Sri Lankan Fashion.